Dr. Randleman received his BA degree from Columbia University in New York City. He earned his MD degree from Texas Tech University in Lubbock, Texas, where he was elected to the Alpha Omega Alpha Medical Honor Society. He completed his residency training at Emory University, serving as Chief Resident in his final year. He then completed a fellowship in Cornea/External disease and refractive surgery at Emory University. Please describe your recovery after LASIK eye surgery. Please describe how you prepared for LASIK eye surgery. Please describe your experience with your LASIK eye evaluation. What risk of LASIK surgery are you most concerned about? The cornea is the clear outer layer of the eye. If it is damaged by disease, infection, or injury, vision problems may occur. Corneal problems can be detected by having an eye exam. 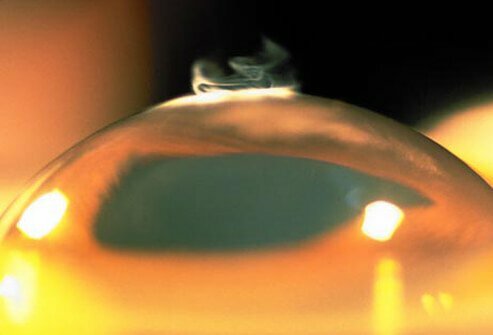 Corneal problems can be prevented by protecting the eyes from injury and avoiding contact with people who have eye infections. Dry eyes are caused by an imbalance in the tear-flow system of the eye, but also can be caused by the drying out of the tear film. This can be due to dry air created by air conditioning, heat, or other environmental conditions. Treatment may involve self-care measures, medications, or rarely, surgery.